Now a days some Android Smartphones come with non removable battery, like all most all the Mobile handset manufacturers has some models with non removable battery. In case these mobiles are hanged or stuck then how you can restart those models, because if you hold power button it will do nothing at that time. So here is the topic about, how you can restart Android smartphones when it gets hanged, if press and hold the power button for long time it does nothing, means the phone will neither Switched off nor Restart. As the battery is non removable you can not remove the battery of the handset, if you want to remove the battery you need to remove whole body of the phone, which is not so easy process. The below is the process to Restart an Android phone when it hanged or not functioning correctly. 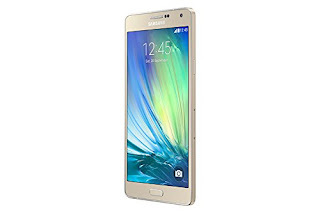 Here is the example of Samsung A7 but can be try with other non removable smart phones also. You can try the other key combination to restart non removable battery smart phones like below. When you try these key combinations, please wait up to 10 seconds to restart the device otherwise try another key combination.